Warm sandy beaches and lush green courses offer the perfect backdrop for sailing, swimming, and golfing. It’s hard to argue that summertime is best experienced outdoors, but while your mind may be ready to dive right in, your body may not be. We sat down with Dr. Asit Shah, chief of orthopedic surgery, Dr. Marc Arginteanu, chief of neurosurgery, and Dr. Jeff Pavell, chief of rehabilitation medicine, all at Englewood Hospital and Medical Center, to learn how to prevent injuries and get the most out of athletic and leisure activities in the summer and early fall. Q: When the temperature heats up, many people flock outside for leisurely and athletic activities. What steps should people take before starting? Dr. Shah: Take it slow when you first start. Unless you’re very active during the winter months, your body needs time to adjust to exertion activities like biking, running, hiking, and waterskiing. These are great activities for the body and can help keep muscles and joints strong and supple, but if you overdo it or don’t have proper form, it can easily lead to injury. We often treat patients for hip fractures, knee pain, and both ankle and knee sprains. Q: When do you know if you should see a specialist for an injury? Dr. Shah: When in doubt, get checked, particularly if pain is disrupting your life or an injury is impacting function. We always look to treat patients with the least invasive approach possible using noninvasive or minimally invasive techniques to help them safely get back to enjoying normal activities. 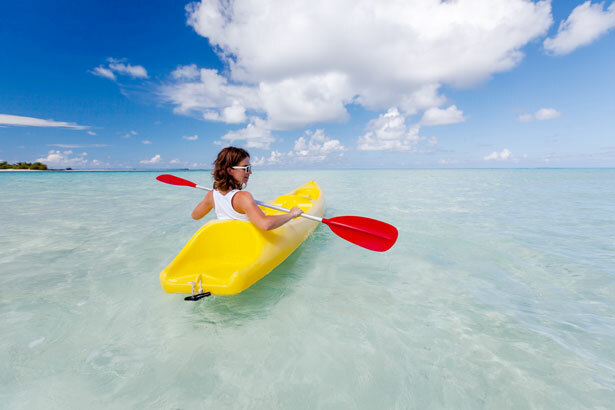 Q: Beach and water activities are some favorite summer pastimes. What are the most common injuries you see from these activities? Dr. Arginteanu: We often see people with herniated discs in their lower back or neck, mid-back pain and spasms, as well as arthritis in the neck or spine. Swimming, kayaking, sailing, surfing, and golf are some favorites, but the repetitive motions can be tough on the neck and back and may cause traumatic injuries where the repetition itself causes injury. Q: How can people prevent these types of injuries? Dr. Arginteanu: Neck and spine injuries can become chronic or permanent if not treated in time. The best way to prevent injury is to warm up the body and mimic the motions of the activity before starting. It’s also important to build your core strength as these muscles helps support the neck and spine. Yoga and Pilates are good examples of core-building exercises. Q: What are some general tips for protecting your muscles and joints from injury? Dr. Pavell: Everyone should be mindful of their form and take safety precautions. Warm up before any activity. Do at least 5-10 minutes of gentle exercises to gradually increase your heart rate and blood circulation so your muscles and joints are ready for more intensive activity. Wear appropriate attire and protective gear. Choose clothing that lets your skin breathe and removes excess perspiration. Footwear should be appropriate for the terrain – the right shoes can help prevent slips and keep your joints stabilized. Helmets can help prevent concussions and other head injuries. I recommend wearing one when biking, cycling, or waterskiing. Your body needs time to recharge. Don’t push your body to exhaustion – you’re more likely to be injured or develop muscle strains. Take breaks as you need them.Make sure to hydrate. Dehydration is a common summertime condition that occurs when your body doesn’t have enough fluids. It can be serious and impact your balance and coordination, which can lead to falls. The best way to prevent dehydration is to drink plenty of water throughout the day. Maintain correct form throughout the activity. Before starting a new activity, make sure you know how to perform exercises properly to avoid hyperextending or straining your shoulders, neck, hips, knees, and back, which can lead to injury. Consider taking lessons from a professional before starting. Q: What are some treatment options if you get injured? Dr. Pavell: For minor strains, spasms, or other injuries, take it easy and rest up. Ice can help with inflammation while elevation of the injured area can reduce swelling. Pain is typically two-fold: physical and emotional. Manual therapies and complementary care may address both types of pain, which are often intertwined. The Graf Center for Integrative Medicine at Englewood Hospital offers evidence-based therapies such as therapeutic massage, acupuncture, and meditation that can help with pain management.